I remember childhood memories of our favorite family traditions—everything from camping out watching holiday movies in the living room to baking our favorite desserts and treats in time for family gatherings or parties with friends. To me, life generally feels a little happer, a bit more joyful and magical, around this time of year. 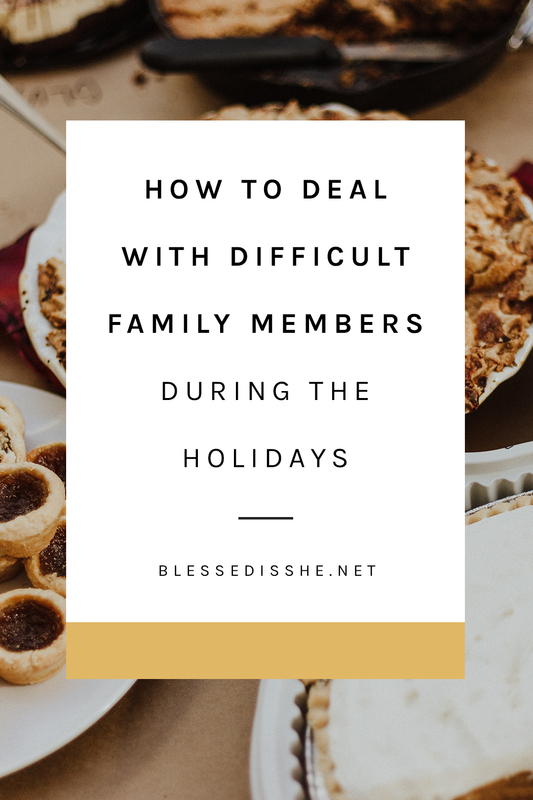 However, for many of us, the holidays can be a difficult, perhaps even painful time. One of the best tools my counselor has helped teach me over the years is how to deal with difficult—even unhealthy or unsafe—people. It is a tool I think we all need in our emotional toolbox, especially if dealing with certain family members around the holiday season is messy or difficult for you. Here are some of the most helpful things I have learned in dealing with those difficult family members. 1. Read the book Boundaries: When to Say Yes, How to Say No, to Take Control of Your Life by Doctors Cloud and Townsend. I think every single adult needs this book. Boundaries (I have found) are the single best way to deal with unhealthy, unsafe, difficult people in your life. It allows you to take control of yourself and your own behavior without becoming responsible for anyone else. Boundaries allow you to take charge of yourself, and choose to respond how much you will let another person’s words, behaviors, or actions affect you. If you’re feeling anxious about seeing certain difficult family members this holiday season, I strongly recommend reading this book. 2. Stay emotionally zipped up. This tool is one I continually use again and again in all areas of relationships in my life. Allow me to explain this a little more. I want you to imagine that we all have an invisible zipper on the inside of our bodies. Only you have access to it and only you can control how much you lower or raise it. When heading into family gatherings, make sure you are emotionally zipped up! Actually imagine yourself zipping yourself up from the inside. Use it as a visual exercise to take care of yourself in what may be not a great interaction. I know it sounds crazy, but I swear by this practice! I share it regularly with other people in my life, and I have found so helpful in my own life. 3. Have helpful soundbites to repeat to yourself. Have a few soundbites stored in your brain to repeat to yourself if you’re starting to feel uncomfortable or triggered by that difficult person(s). One of my favorites is: This is about ____, not about me. And I must not climb into his/her process. Other ones I use are: I will walk away or excuse myself from the conversation if I feel uncomfortable or I can only control myself (my actions and words), I cannot control this person. I find having tidbits to rely on helps me in a pinch until I have time and emotional energy to deal with a situation and how I felt about it. 4. Set limits for long you will be around difficult members. 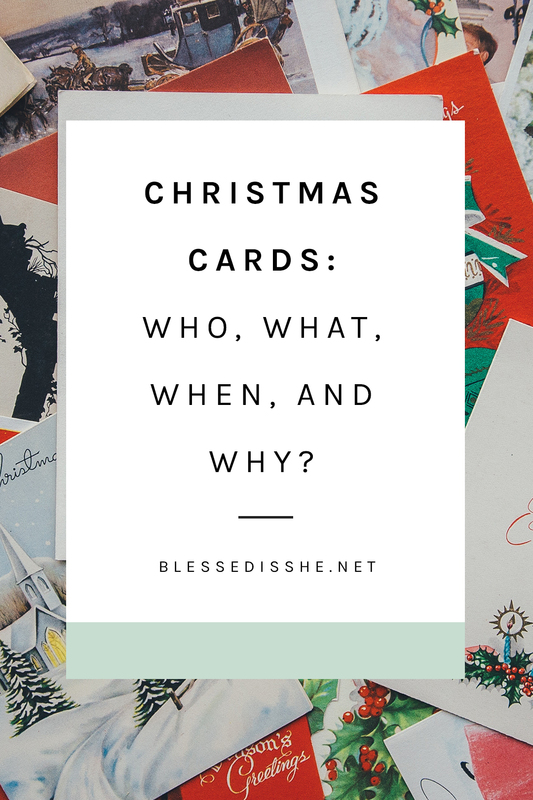 Sometimes you may find yourself in a situation where you have to see certain difficult people around the holidays. If that cannot be avoided, then carefully plan and set limits for exactly how much time you will be around. Have your exit plan already mapped out. Set a game plan and stick to it. You have every right to set limits around how much time you spend with people who sometimes feel not healthy or safe. You’re in the driver’s seat. Do not allow yourself to be pushed around. 5. Focus on what you can change, not what you can’t change. Sometimes in difficult family relationships it is easy to become discouraged, even hopeless, that things will “always be this way.” It can feel overwhelming. But remember to focus on what you can change, what you can control: yourself, your responses, and how much you decide to let something another person says or does have power over you. Holiday gatherings can sometimes be a source of stress and tension because of whom will be there or unhealthy dynamics that might occur. But even if you’re nervous or anxious going into the holidays, you can be as prepared as possible. Know your boundaries and stay emotionally zipped up. When you’re intentional in dynamics with sometimes difficult people, you can feel more relaxed and even (hopefully!) enjoy the event. It might not be perfect, but having a game plan on how you can choose to respond and handle things is the best thing you can do for yourself. It’s not impossible. It just takes some reflection, self-awareness, and prayer. What are helpful tools that help you deal with difficult people or relationships in your life? How do you navigate those things? 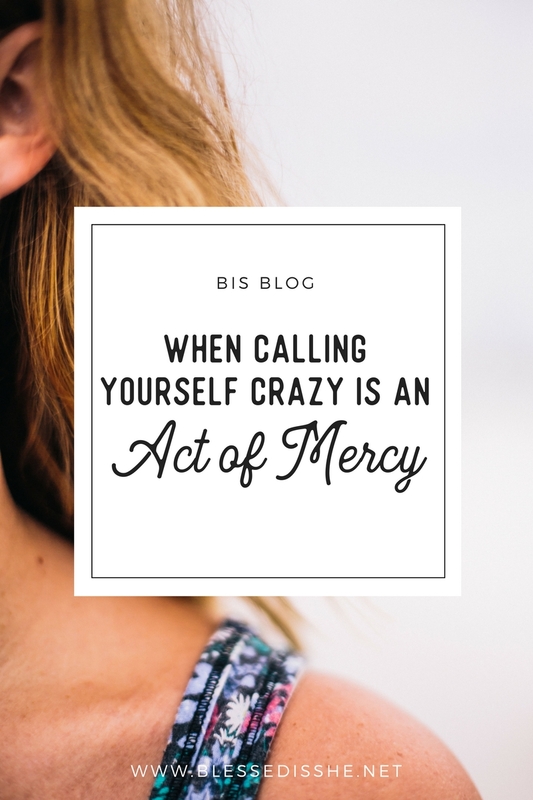 Patty Breen is a regular contributor to the BIS blog and a devotion writer. She is a full-time lay minister who finds joy in running, strong cups of coffee, and all things Ignatian spirituality. A Midwestern gal from the mitten state, she is constantly learning to find grace in all things. 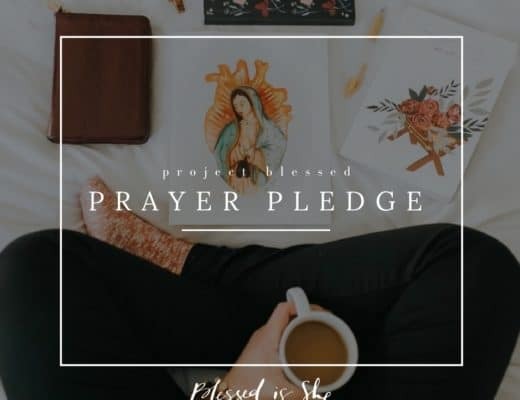 She is passionate about ministry to divorced Catholics and women whose relationships have been impacted by sexual addiction. You can find out more about her here. Perfect timing with this. I do have some difficult family members that I’m nervous about getting together with this holiday season. I will be sure to emotionally zip up before entering the door for Thanksgiving. Love that visual. I tend to be a passionate person so remembering to just walk away and calm myself down will definitely be a good thing. Thank you!